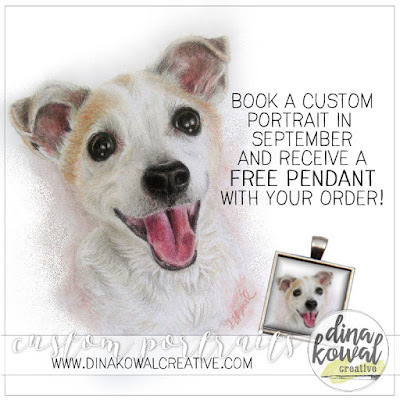 Dina Kowal Creative: Portraits and September art special! Portraits and September art special! Just a quick post to share what's been on my desk lately! Though I spent last week focusing on stamp art I can't share yet, I do have a few more portraits to add to my portfolio of commissions. Keep reading for a special offer! Here's Winston, an adorable chihuahua mix - this is a mini 5x7 size portrait. You'll find progress photos over on Instagram! Lydia's kitties are done, and they were so much fun to capture in this larger piece (11x14). I can't wait to see this hanging in her studio! It will be delivered in a couple of weeks. The holidays are fast approaching - if you're thinking of ordering a custom portrait, now is a great time to reserve your spot! 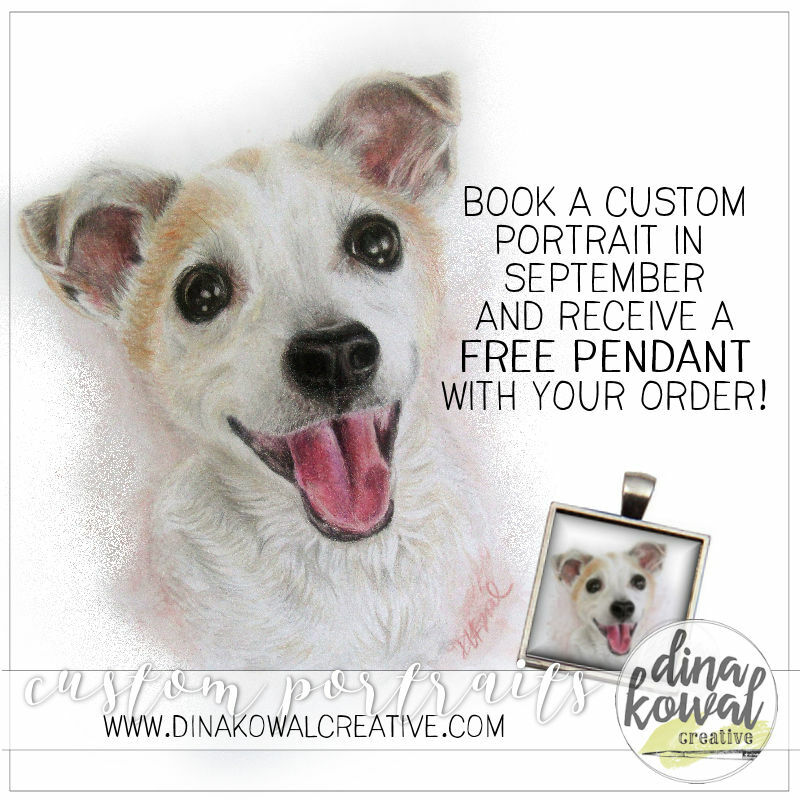 If you book during the month of September, you'll receive a free pendant with your order. These are beautiful glass-domed pendants in a silver-plated tray, with your choice of memory wire or organza ribbon, a $14 value. Click below for all the information, and to fill out a simple form that guarantees your spot in my queue! I'm very grateful for your support! Thank you!